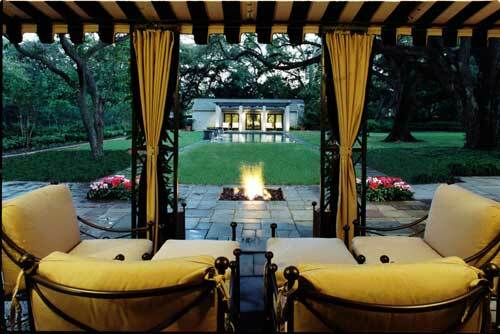 The owners of this historic residence requested a simple, timeless pool design that would link the main residence to the proposed cabana and respond to the views from both structures. 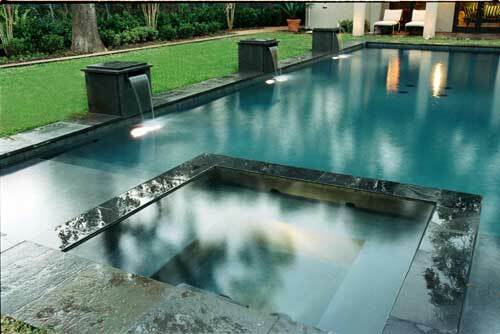 this pool features a flush spa inside the rectangular form and three raised pedestals with scupper fountains spilling along one edge. special care was given to proportion and scale to insure that all aspects of this design were in character with the residence. 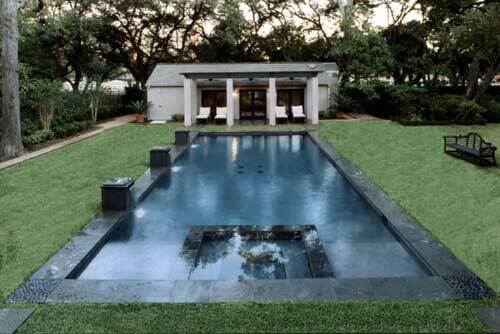 Blue flagstone coping, grey porcelain waterline tile and grey plaster were selected for an overall soft presence with custom pebble mosaics at the coping corners.